Alcañiz comes from the arabic term Al-Qannis which could mean canes. In El Cantar del Mio Cid, a poem belonging to a period of time between 1117 (the first conquest of Alfonso I) and 1157 (the final conquest of Ramon Berenguer IV), we find one of the first mentions of the name Alcañiz. e a derredor  todo lo va preando. The Reconquest in El Bajo Aragón was peaceful and the territoires occupied were slowly recovered. In 1179 Alfonso II gave the Castle of Alcañiz and a vast region to an Order known as La Orden de Calatrava. 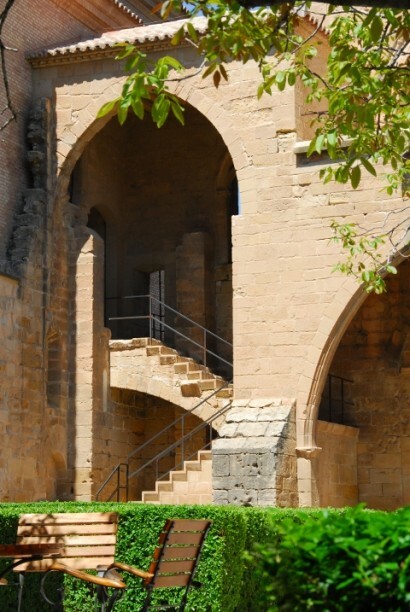 However, Alcañiz still had some representation in the Courts and the inhabitants enjoyed the prerrogatives included in the Town Charter awarded by Ramón Berenguer IV. The Order and the villa held difficult relations throughout the Medieval and even the Modern period. In 1283 there was a violent popular uprising in Alcañiz against the Order. It was a clash between two powers, a villa and a council pressured by la Orden de Calatrava.